I’d like to start by saying: Immaculate Baking Co., I love you. Why? Well, it’s like this. I’m not really the greatest baker. True, I love it, and I keep trying, but I have a little too much of a creative streak and a not enough appreciation for precise measurements to succeed everytime. I’ve improved vastly, but, you know. It still happens that I bake an entire batch of awful, and it’s usually when I’m stressed out. 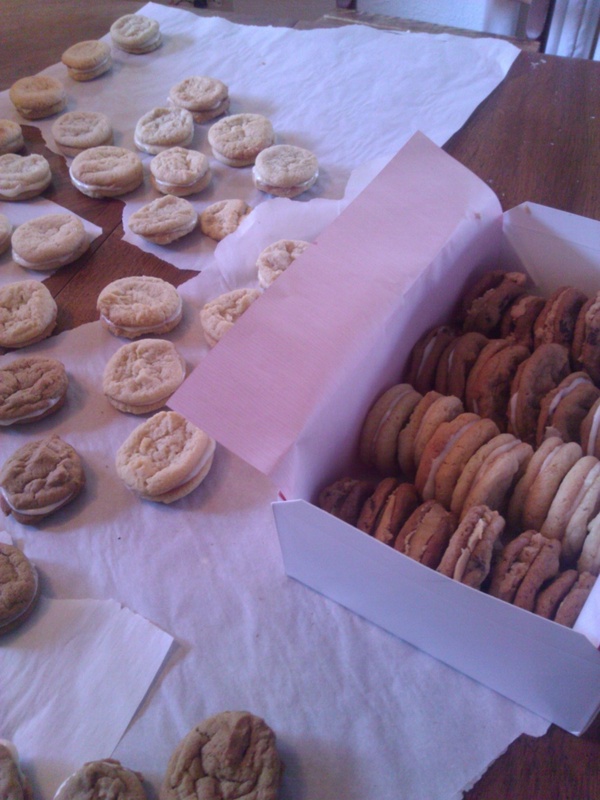 Ideally, like in the old days, I would take an entire day off and do nothing but bake Christmas cookies. However, this has not been possible within the past few years (to be honest, I can only remember a few times when it was ever possible), and I end up trying to bake six dozen cookies from scratch after I get home from work. Just, nightmare. These people who have kids and fulltime jobs and bake everything from scratch and blog about it with professional-looking pictures? I just can’t even. How? Anyway, I was faced with this situation the other night when I stumbled into my favorite store that I probably talk about way too much so won’t mention and, while stocking up on Earth Balance (a holdout from my vegan baking days), I discovered these. On sale. I’m not even sorry to admit that I caved. 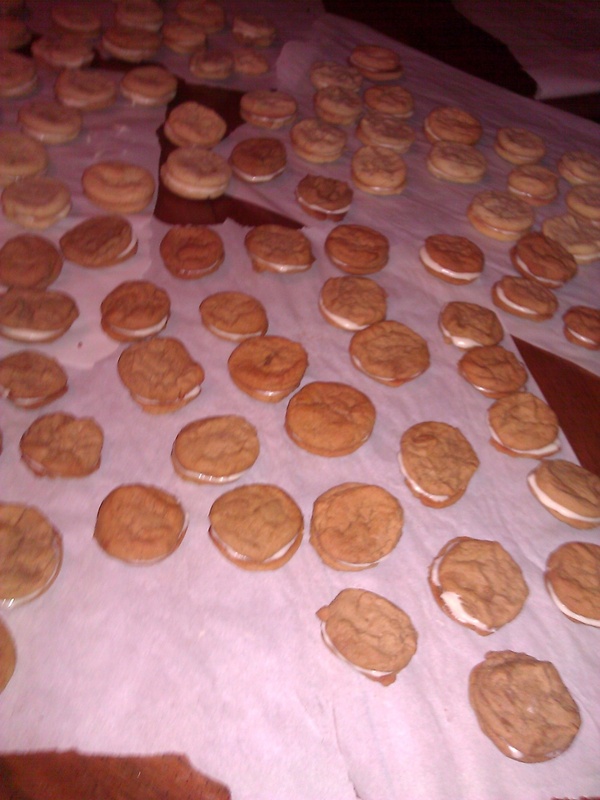 I couldn’t have just baked up a bunch of sugar and molasses cookies and called it a day, however. No, no, no. That certainly would have taken all the fun out of it. So, I decided to make them into sandwich cookies! Now, once you have prepared your 120 or so (depending on how many you need) tops and bottoms, and they’re cooling, make the filling. This is what I used — it was the perfect consistency, halfway between a glaze and a frosting. Plain for the Molasses Spice, and or the Vanilla Sugar cookies, I added 2 tbs of fresh lemon zest. I did vegan fillings for a few reasons — first, because I wanted to do cream cheese and I honestly like the taste of Tofutti better than real cream cheese. I was vegan for about a year and, dessert-wise, there are many vegan alternatives that I prefer to the real thing. Also, while I am a proponent of minimally processed foods and so am wary of vegan “alternatives”, I also believe in everything in moderation and know that everyone’s butter consumption this time of year probably hovers somewhere between “a bit more than moderate” and “Paula Deen is crying tears of joy”. I figure if I can make something slightly healthier, it probably doesn’t hurt. After the cookies are completely cool, get a few butter knives and recruit as many helpers as you can. Find this on Spotify. and get frosting. It does take some time, but it is sort of a meditative task. 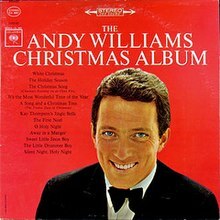 And, of course, Andy Williams helps. Some Soy Nog and bourbon might help too; or, may I suggest a Moscow Reindeer (1 1/2 oz. vodka, 1/2 oz. cranberry liqueur, top off with ginger beer in highball over ice)? As for the cookies — if I had eaten any for breakfast, I could tell you that they were delicious, but of course I didn’t, so I guess I’ll never know! (But — if I had, I would say that they lemon ones were the best.) There are endless possibilities for fillings (lavender? orange zest? blackberry sage?) 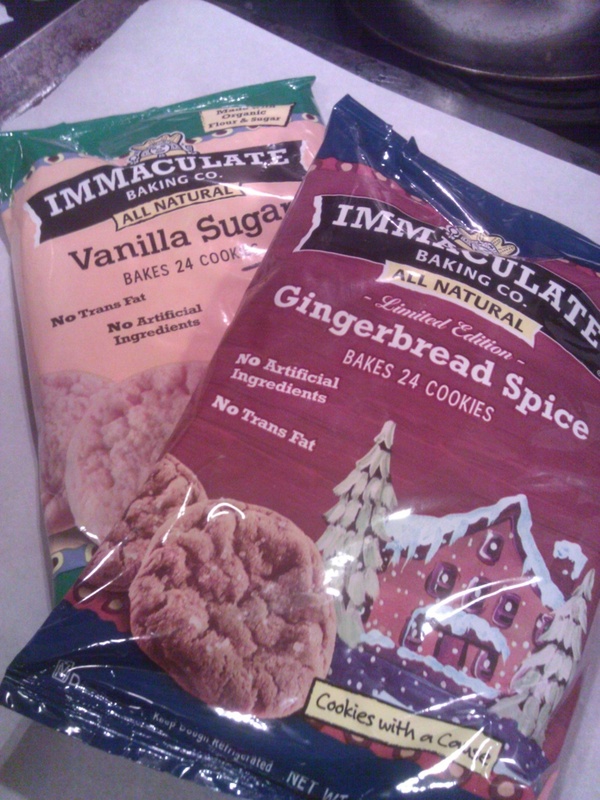 and Immaculate makes a few other flavors which I’m sure are equally as yummy, so I’ll definitely be doing this again next year (or next cookie-specific occasion). Yay for time saving (although I feel a bit like Sandra Dee).